Official Memorabilia, in conjunction with the NRL and the Newcastle Knights, are proud to release ‘New Sensation’. 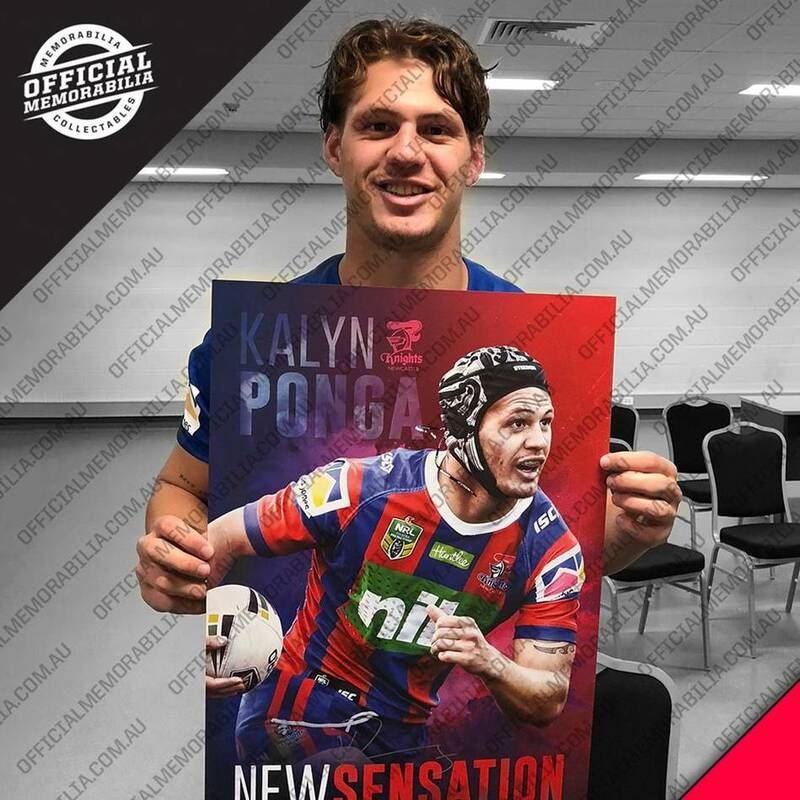 Personally signed by rising superstar and State of Origin representative, Kalyn Ponga, this magnificent piece is limited to just 100 editions worldwide. Officially licensed and endorsed by the NRL and RLPA, it is a must-have for all Knights fans and astute collectors alike. Don’t miss out – secure yours now to avoid disappointment.